Canned abalone is rather expensive here but a lot of people love to buy canned abalone for CNY celebration as it symbolizes abundance of auspicious feasts, wealth, luck etc. etc. (“年年包有余”). Hence, it’s a trend for 'a must have' abalone during CNY celebration for my family... to indulge the luxury dish once a year ... hee .. hee ! There are many ways to enjoy this delicacy … braised abalone with mushrooms & vegetables, add sliced abalone to treasure pot (pen cai) or prosperity toss “Lo Hei Yusheng” etc. etc. Somehow, I like abalone salad ... Abalone and Asian Slaw with Oriental Dressing shared last year. When I saw the recipe shared by Angie's Recipes - Frisée, Artichoke, Sweet Pointed Pepper Salad with Lime Chia Vinaigrette, I know I must make the lime chia vinaigrette for my abalone salad ! Why ... somehow the pieces of artichoke looked like abalone at a glance ... hee .. hee! Now, who's with me to feast this quick & easy luxurious abalone salad ? Put all the dressing ingredients in a screw-top jar and shake until well combined. Season with salt and pepper. Chill for at least an hour to thicken slightly. 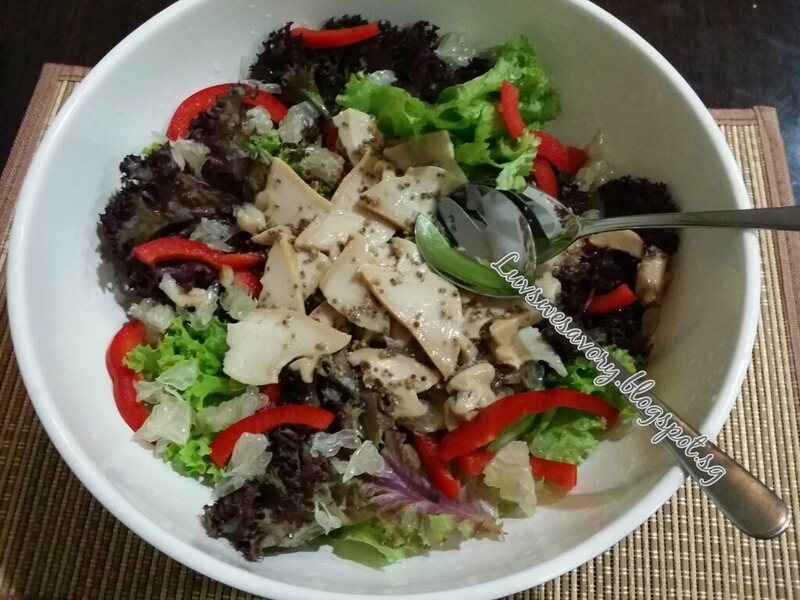 Arrange the lettuce, abalone, capsicum and pomelo in a big bowl. Pour the chilled lime chia vinaigrette dressing and gently toss until just combined. Ready to eat ! Enjoy ! Ta da ! A big bowl of abalone salad ... taste tangy refreshingly good ! Enjoy ! Let's toast to abundance of wealth and good health in the Year of the Red Fire Monkey! 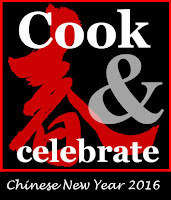 To welcome the Year of the Red Fire Monkey, 10 cooking bloggers have come together to bring you the chance to *win a $500 ang pow! (Terms and Conditions Apply). So join us in ushering the new year and maybe you will be the lucky winner this year! *One Prize of SGD500 will be sent to one winner via Paypal (or bank transfer within SG). An email will be sent to the winner to notify him/her of the win. Should the Organiser (Diana) not receive a reply within 48 hours, another winner will be selected. This contest is also opened to overseas participants. Wish you luck, happiness, prosperity and abundance of blessings ! 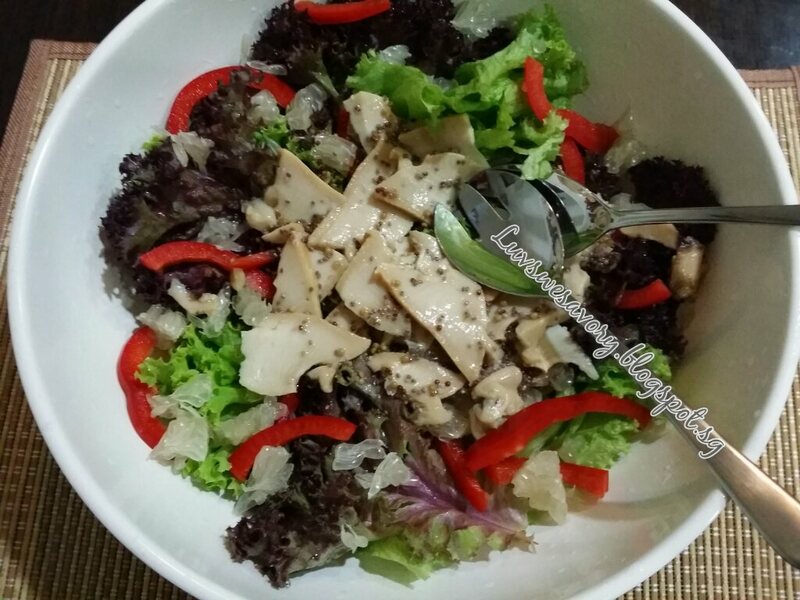 Hi Karen, thank you for this very healthy and delicious salad for CNY celebration! You're welcome, Nancy. Do give it a try as it's so easy to prepare! Glad you like it ^-^! Wow，Wow, Wow....!!! Got yummy abalone and also big angpow over here , I like them very much, hehe! i want! i want! you reminded me that i will hv to go and buy some for CNY! Lena, yeah go grab some canned abalone to enjoy this easy to make delicacy ! 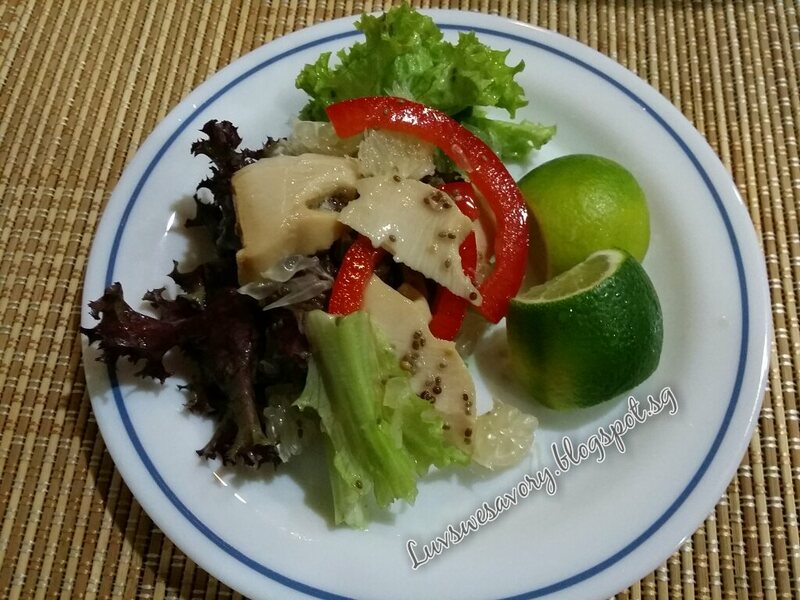 Great ideas to add abalone into healthy salad, looks super yummy! 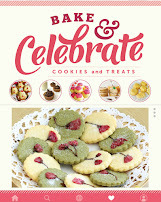 Hi Jean, yea agree ... could only indulge during CNY ^-^! Hi Karen, this looks so easy to prepare! I hope it is as easy as it looks. �� I can't wait to try it out! Thanks for holding this giveaway too! Yes it's very easy to prepare. Add some mandarin oranges for a more CNY looking dish. Hope you like it and wish you good luck. Karen, I am so glad that you tried the salad! 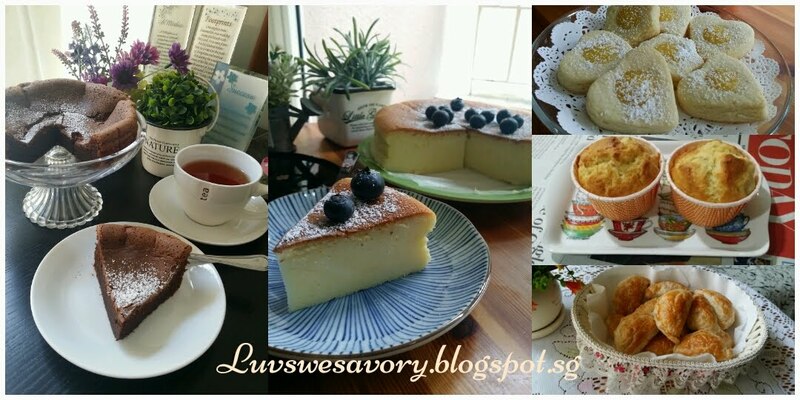 Yours looks so very tasty and thank you so much for the shoutout.